As a team, we’re passionate about making a difference, and we do make a difference every day. We believe that as a company, being successful also means supporting our people, our customers, and our communities.  We’re passionate about making a difference in our communities through our social responsibility program, Northbridge Cares. The DAREarts Foundation supports at-risk youth in urban and rural communities across Canada and exposes them to diverse cultural opportunities and arts education, helping to unlock their potential and empowering them to be leaders. As a major contributor, Northbridge supports DAREarts programs across Canada. 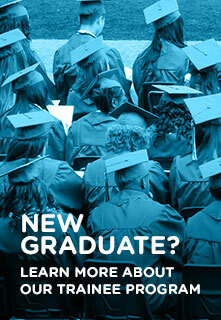 Pathways to Education is a national organization dedicated to supporting youth from low-income communities as they work towards high school graduation. Northbridge has partnered with Pathways to support the creation of a National Employment and Internship Program, which provides students with the tools and networks they need to reach their employment goals. Tree Canada is a national charitable organization dedicated to the planting and maintenance of urban and rural trees across the country. As an insurance company, getting our customers back to business after a catastrophe is what we’re all about. Supporting Tree Canada’s Operation ReLeaf allows us to help restore our community green spaces following a disaster. We also support the greening of five schools across Canada every year. As long-time supporters, we’re proud to contribute to United Way Centraide through an annual fundraising campaign. The Hospital for Sick Children (SickKids) is Canada’s most research-intensive hospital and the country’s largest centre dedicated to improving children’s health. SickKids leads child health innovation by integrating care, research, and teaching. Northbridge is committed to supporting SickKids research by funding endowments in support of a Chair in Pediatric Research, a Chair in Inflammatory Bowel Disease, the Fellowship in Leukemia Research, and the new Catalyst Scholar for Healthy Active Kids to combat childhood obesity in Canada. Relying on the crucial input and output of young leaders across the nation, Jack.org has opened up the dialogue on mental health in schools and communities to end the stigma once and for all. By enabling young people to guide the discussion, Jack.org has created a unique peer-focused network that can better connect with fellow young Canadians affected by mental illness through conversation, camaraderie, and community-building. We proudly support the 152 Jack chapters across Canada who work hard to help ensure our youth can ask for and offer help more freely. Each year, over 80 trained Jack Talk speakers, a national Jack Summit, and nearly 20 Jack Regional Summits are helping to reduce the youth suicide rate and lift the mental wellbeing of all young Canadians to new heights.